As with most professions, a master’s degree in accounting can put you in position to earn the best jobs the profession has to offer. Accountants especially can benefit. 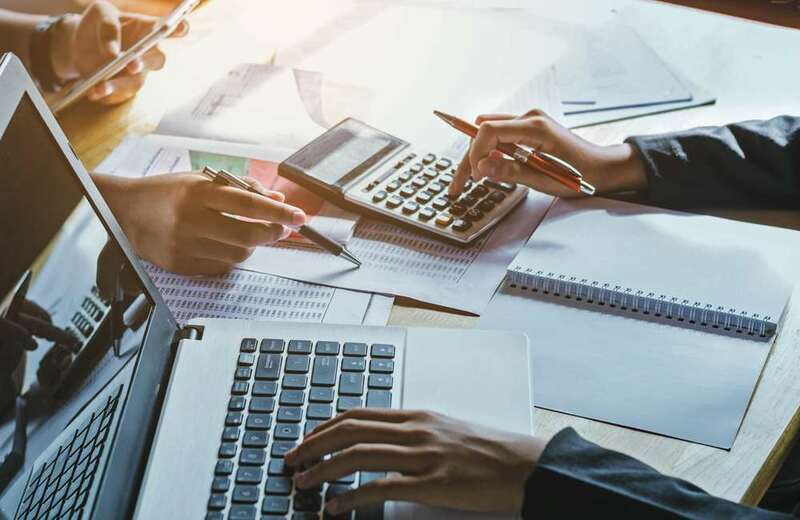 Accounting already offers a stable career path and strong salaries for those who earn a four-year degree and earn designation as a Certified Public Accountant. But those with the ambition to earn a master’s degree in accounting become attractive candidates for the top-paying, most challenging jobs in the profession. That includes executive positions in large organizations such as chief financial officer and chief accounting officer. Accountants also are needed in every industry. Tracking the money that flows through an organization is still, and always will be, one of the most vital jobs with any business. Government agencies and nonprofit organizations also need qualified, professional accountants. Those who wish to enter any of the fields for accountants listed below will benefit greatly from earning designation as a CPA. To become a CPA, it takes work beyond earning your bachelor’s degree. In most states, students must earn 150 semester hours before taking the Uniform CPA Exam and becoming a licensed CPA. Earning a master’s degree is worth it, even for those who have become a CPA. Those who enter a master’s degree program learn the latest in the ever-changing world of tax law and accounting regulation. The global nature of many organizations also requires expertise in accounting rules around the globe. As accounting rules become more complex, many companies now look to hire those with master’s degrees for the top jobs. For those who earn a master’s degree, executive positions become an option. As a chief accounting or chief financial officer, accountants direct a company’s financial operations and participate in crafting organizational strategy. But there are other areas of opportunity, as well. Accounting expertise can lead to a number of fascinating fields. They include the following. Public accountants. They prepare and ensure the accuracy of financial numbers that are used in public filings, such as those submitted to the Securities and Exchange Commission from publicly traded companies. Management accountants. In this area, accountants prepare financial statements for individuals or for internal use by executives of an organization. Government Accountants. Those who work in government oversee financial reports, audits and evaluate the efficiency of government operations. Forensics accountants. Accountants in this area work for investigative agencies, going over the finances of companies and searching for evidence of inappropriate financial activities. Internal auditors. In this position, accountants go through finances within an organization, searching for signs of mismanagement of funds. They also develop new processes to improve financial performance and eliminate waste and fraud. Accounting is an occupation that provides plenty of job opportunities. For those looking into getting into the field, the option of pursuing a master’s degree can open the door to the best the accounting field has to offer.